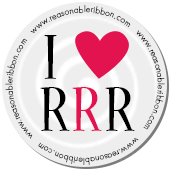 Click HERE to pick up the SALE codes for our current Really Reasonable Ribbon SALE this week through Friday, 3/6/15. Hey peeps. Are you all over this wintry mess? I know I'm ready for some warmer weather to stick around for a while. I'm so ready to open up the windows and let some fresh air in. So with that in mind I thought I would make a spring card to get you all ready to break out all your lovely spring colored ribbon. I used the beautiful green satin swiss mini dots ribbon for my card today. I love how this ribbon is so easy to work with. I used my Bow-It-All to make this double bow for my card. All the satin ribbon Bonnie carries in the shop is simply beautiful. So pretty and soft. I hope you liked my card for today. Now for a bit of shopping fun. Head on over to the Really Reasonable Ribbon shop and fill your cart with all the lovely colors of spring. Bonnie has the best prices out there on tons of pretty ribbon and THERE IS A SALE GOING ON RIGHT NOW! I know you're ready to be winter over with.